One of the things that I love to do When In Manila is have a worry-free pampering day at a salon with my girlfie or my mom. If you have been following my WIM adventures, you will know that I am crazy in love with changing my hair color – from a shocking blonde hue from Teal Salon to mysterious chocolate brown locks from Aura Salon to an electric red shade from Maldita Studios. However, my hair adventure doesn’t stop there. A few weeks ago, my mom and I checked out a salon that has been making quite a buzz in the Manila scene: Envy Me Salon. Envy Me Salon is one of most popular salons in Davao City, and lucky for us Manileños, the star salon of Davao City is now here in Manila, too! 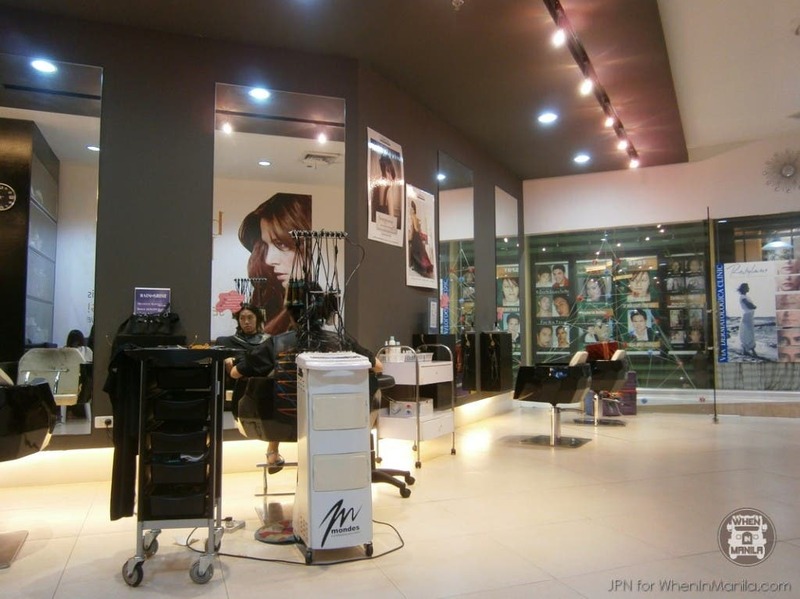 Like most salons, Envy Me Salon keeps their interiors bright, spacious, and definitely inviting! To start off our worry-free pampering day, my mom and I had our nails done. With all the walking that I have to do around campus, I enjoyed Envy Me Salon’s gentle and relaxing foot pampering. With all the household chores I escape from finishing, my mom ends up having to pick up the slack and finish them, so this is a much-needed hand pampering for my mom. I went down the adventurous road instead with bright and bold colors. Happy Skin Beauty Products Will Make YOU Happy!